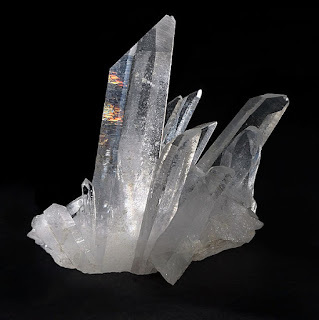 Quartz is the second most abundant mineral found in the Earth's crust, after feldspar. There are many varieties of quartz, some of which are semi-precious gems. Quartz image courtesy JJ Harrison. Pure quartz is colorless and clear. Other varieties include Citrine (pale yellow to brown in color), rose quartz (pink) and Amethyst (bright to dark or dull purple in color). 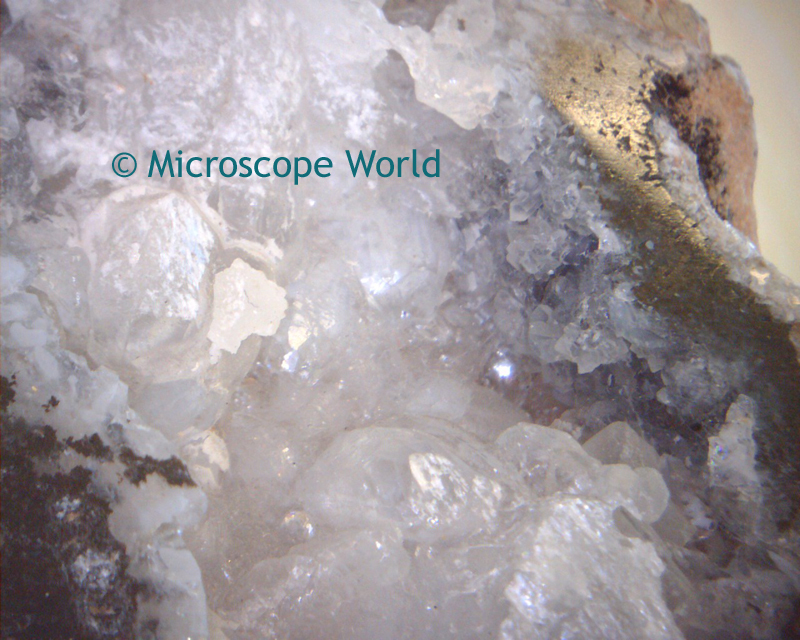 Quartz image captured with the MW1-LD2 digital handheld microscope.